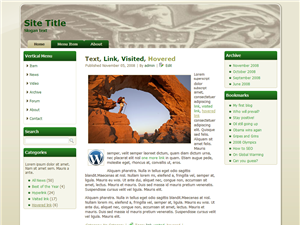 This Boy Scout green shaded web site theme was designed for use with the WordPress content management system and is configured and ready to install. 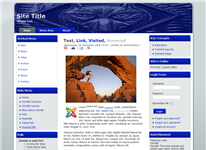 See all our WordPress Themes by going to http://wordpress.scoutwebsolutions.com. There you can utilize the Theme Selector to see the various themes demonstrated on the standard WordPress 3.5.1 installation with test data content. Check back often as new themes are added as developed! 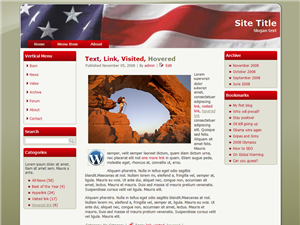 WordPress Themes are downloadable products available from your store account upon successful payment. You have 7 days to download your file. No refunds or exchanges on downloadable products. Ensure you select the correct theme name prior to checkout. See the demonostration site and the test pages including Layout, Readability, etc for details on the template including styles, fonts, layouts, etc. WordPress Themes are delivered in the standard .ZIP file format ready to upload and install utilizing the WordPress Administrator System: Appearance > Install Theme > Upload. Redistribution of purchased themes is strictly prohibited. Themes can be utilized on 1 site only. Copyright © 2019 Scout Web Solutions Store.